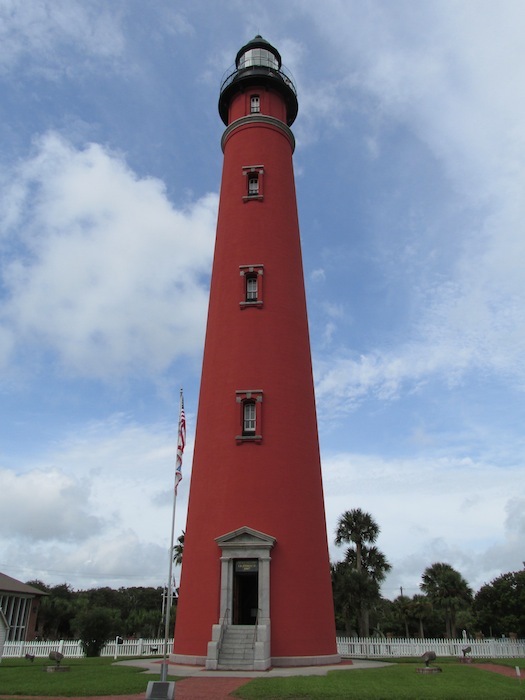 The tallest lighthouse in Florida, and one of the tallest masonry lighthouses in the country, Ponce Inlet lighthouse has in one form or another marked the inlet since 1887. Once known as Mosquito Inlet Lighthouse, it was constructed on 10 acres starting in 1883 and was first lit with a kerosene lamp and used a fixed Fresnel lens that could be seen 20 miles offshore. The site is now a museum, and is well maintained with original buildings and structures. There are restored lightkeeper’s houses, an oil house, lens museum, and a radio and generator building. There is also a nature walk through a hammock. The centerpiece of course is the lighthouse, with it’s 203 steps rising nearly 175 feet. The top, with it’s circular walkway, commands a view of the inlet and the beaches. At 175 feet high, Ponce Inlet Lighthouse is the tallest in Florida. 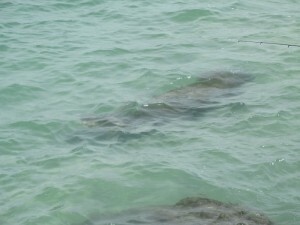 A walk on the jetty offered this passing manatee. There is an interesting history here, and the museum has done a good job of displaying historical pieces and adequately telling the story of the lighthouse and those who worked here. Located about 10 miles south of Daytona Beach on the north side of the inlet, the lighthouse provides a worthwhile diversion for those traveling A1A along the coast. 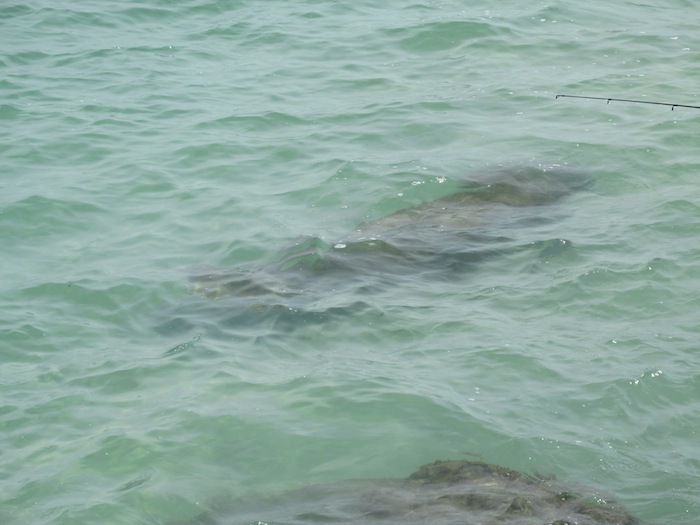 Another nearby stop should be a visit to the jetty along the inlet. Access is from Lighthouse Point Park, which also offers beach access. 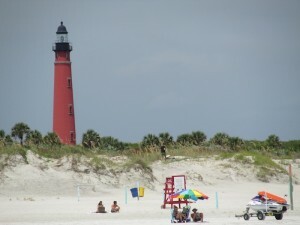 As with many of the beaches throughout Volusia County, beach driving is possible when the tide permits.